For lining Hanging Baskets, Planters and Containers Each 1 lb. bag is enough to line 2 x 14" baskets. Easy to use. Fluff it and form it inside your planter, then add soil. Drains easily, allows roots to breathe. Attractive color and appearance. Useful for patching other worn coco-liners. 100% natural coir coco-nut fiber. 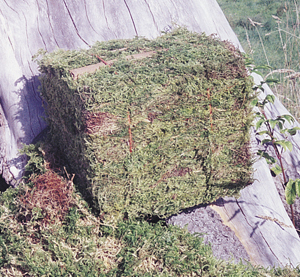 Our Oregon Green Moss is hand gathered and selected from Coastal forests near our warehouse in Tillamook, Oregon. 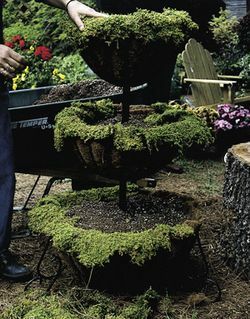 This moss is outstanding for its attractive green color and long decorative strands. 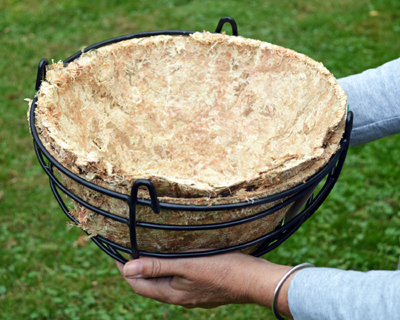 It looks gorgeous as a liner for baskets and planters and as a background for floral arrangements. Keeping it green Our moss is carefully gathered and dried thoroughly before packaging. It will retain its green color for many months, provided it is stored out of direct sunlight. Premium quality, emerald green sheet moss is used for adding decorative trim to hanging baskets, hayracks and freestanding planters. It softens the edges of the coco-fiber liners and controls spillage when watering. This is a natural, hand-harvested product, so quantities and supplies are limited and there may be interruptions to availability. 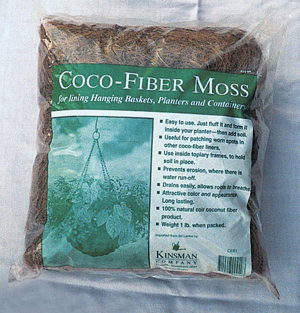 New Zealand Moss molded liners are formed from 4" strands of premium New Zealand sphagnum moss. Traditional look and excellent water retention. Sold in cases of 15 molded liners. 3 Sizes 12", 14", 16"